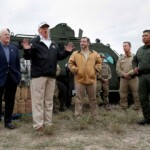 ABC NEWS – As President Donald Trump heads to El Paso, Texas, on Monday for his first campaign rally of the year, some local officials and law enforcement are speaking out against his recent claims on border security. 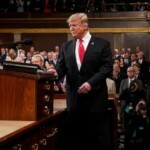 The El Paso Times reported that violent crime rates in the city increased 17 percent between 2006 to 2011, even with construction of the border fence beginning in 2008. The city had the third-lowest violent crime rate among 35 U.S. cities with a population over 500,000 from 2005 to 2007 -– all before construction on the fence began. And, according to the Uniform Crime Reports from the FBI, between 1993 and 2006 the number of violent crimes dropped by more than 34 percent.